We will visit charity organization Entre Amigos Project in San Pancho. Sayulita, a colorful small town. Eat, drink, relax, stroll..
Transportation, Bilingual guide during the tour and a Chocobanana in Sayulita. Personal expenses, lunch, drinks and gratuities. 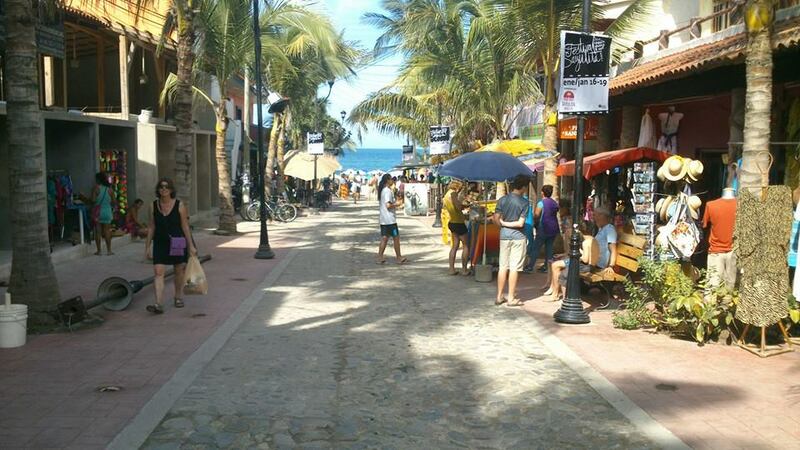 Visit the La Peñita Market (Tianguis), San Pancho, Sayulita and Riviera Narayit. Shop till you drop and visit a fantastic community project! 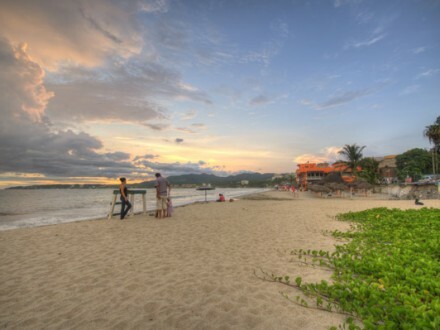 We leave in the morning from our office in Old Town Puerto Vallarta, with a second pick up at Walmart and for our friends in Nayarit a third pick up in Bucerias. 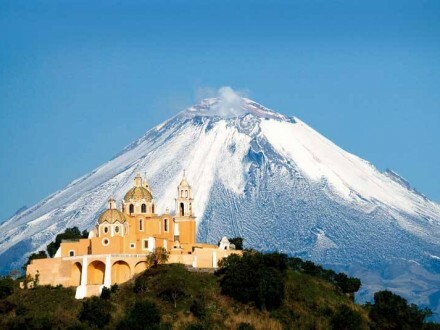 From there on we will head to one of the most famous markets in the area: the Market in La Peñita. The market in La Peñita is really a must! One of the biggest Tianguis (market) in the area. You will find here also some artist that are selling their hand made products, like jewelry, rugs and Huichol art, among others. At the market you have time on your own to buy and see the things that you would like to take home. After the market, we will take you to San Pancho, where we will visit the Entre Amigos Project*, a community Center which is probably one of the most organized Charity Projects in Mexico. 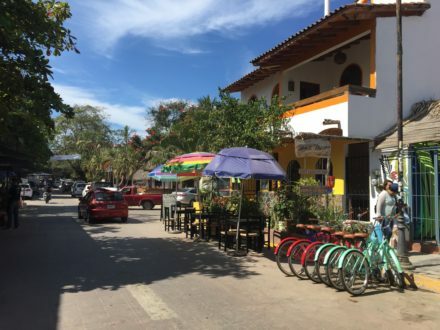 Then we continue to Sayulita, the village where people come especially to surf, it is one of the most charming villages in the area. Do some more shopping here, have lunch, go to the beach, have a Chocobanana (the best you will ever try! And even better we pay for it! ), see the iguanas or simply have something to drink. We will head back to Vallarta after your free time. Depending on traffic, you will be back around 5pm. Best of the tour? The price! For only 50USD you have a day of guaranteed fun and part of the tour is a direct Donation to Entre Amigos. Our bilingual guide/driver will do anything to make this a memorable day for you. Entre Amigos Project is a very successful community project that has attracted participants and followers from all over the world, including the World Economic Forum, the team from Cirque du Soleil, and many others. Founder Nicole Swedlow*, or one of the Volunteers will take us on a guided tour of this impressive, sustainably designed, and award winning education center. You will be amazed at what people at the entre amigos community center can make…fun and crazy items that can’t be found anywhere else in this region… and all made from re-used or recycled materials. There is a store where they sell some of this amazing stuff, so don’t forget to bring some extra money for shopping! Entre Amigos Project also has a second hand store, called the ‘Recicla Shop,’ that sells second-hand items to fund their educational projects. So gather up your gently used clothes and household goods and bring them with you. Your donated items will be used for an amazing cause! Entre Amigos Project is entirely funded by donations and almost completely run by volunteers. See Entre Amigos Project in 360 degrees here, all info copyright by Paco Ojeda. Read an article about this tour and Entre Amigos Project at the PV Mirror City Paper here (you might have to scroll down a bit to read the article “She Said”).